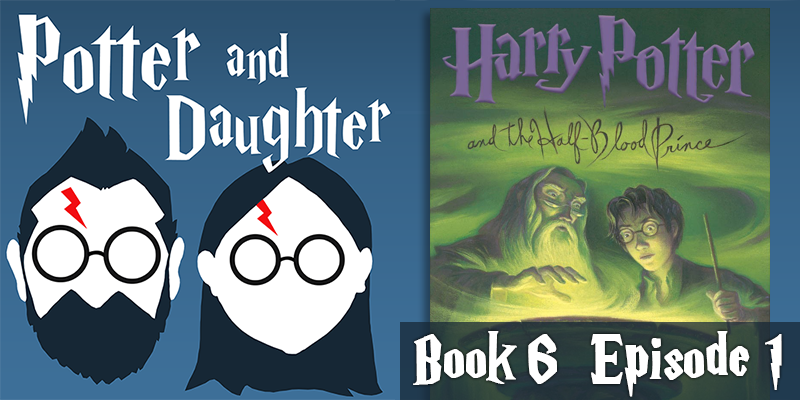 In episode twenty-three of Potter And Daughter Joel and Lily begin Harry Potter And The Half Blood Prince by discussing chapters 1-6. We get our first glimpse of Ministry/Muggle intergovernmental cooperation, Professor Snape is definitely a double agent, though his true loyalties are now unclear and Dumbledore fetches Harry from Privet Drive and reinforces a warning he’d previously delivered to the Dursleys. Dumbledore hopes Harry will be the bait in the hook to reel in Hogwarts’ new Defense Against The Dark Arts teacher. Not everyone is crazy about the soon-to-be new addition to the Weasley family and Drago takes a Nocturne Alley detour to deliver a message for the Dark Lord. Become a Patron and support Potter And Daughter.